If you have been following this blog, you would know that I have lost a few pounds since I started cutting on rice, carbs and going on a diet. And if you happen to know me personally, you'd also know that years of being obese (and to not totally care about how I look) had earned me not just double but trifle chins (excess fats on my chin). Trying to lose weight gave me this challenge. How can I totally eradicate these things without necessarily spending a lot? That's where Shimmian Manila came to the rescue. 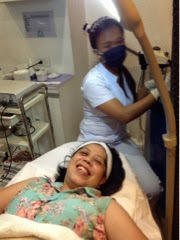 It is through Shimmian Manila that I came to discover Radiofrequency (better known as RF) as my antidote to my double chins. At first, I was a bit hesitant to even try it because it is something new to me. The said machine also looked a bit scary. As if that wasn't enough, Vanessa (yes, we do have the same name), the therapist had explained that if I accidentally lift my back against the silver plate-like thing that is connected to the RF machine while the entire thingy is still in process I might really be in trouble. I actually might get a second degree burn. Well, that sounds scary! Before you get into conclusion, the truth is, there's actually nothing to worry about as long as one follows the instructions given. The therapist will be happy to assist you and will make you comfortable for the duration of the said treatment. There's also an RF available for eyes. De-puff eyes. According to one book I had read written by Dr. Adam Geyer, an expert US Dermatologist, he says that "Much of the skin's energy during the day is used to protect itself, with less energy to spare on repair. Therefore, the primary activity of the skin during the night is to repair itself, especially in the fragile eye area. " 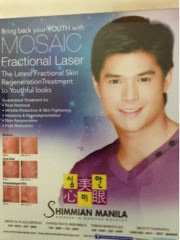 Shimmian Manila offers Radiofrequency for the sagging eye-bags. 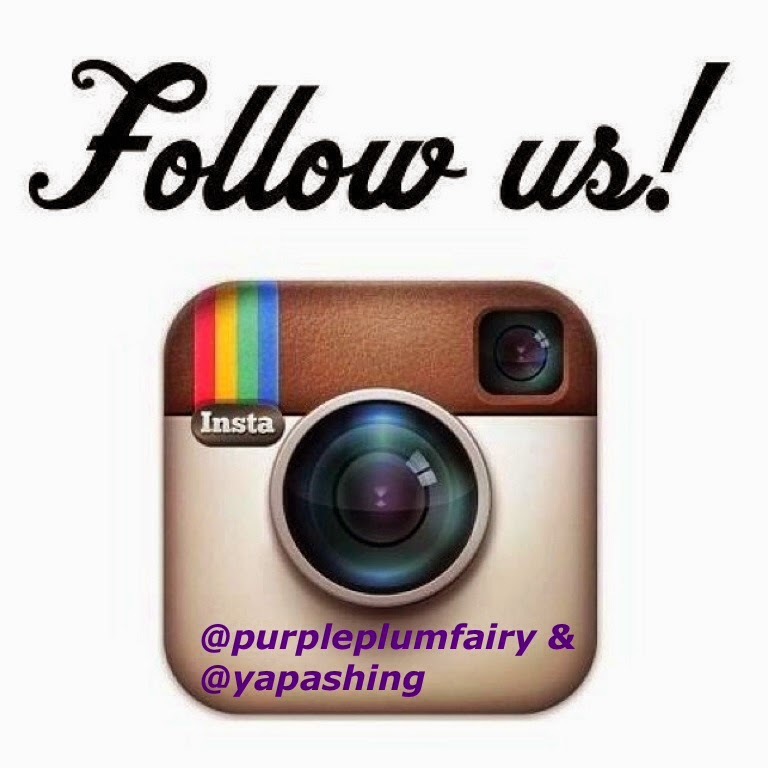 It has active ingredient to increase micro circulation, soothe and calm under-eye skin, and reduce morning puffiness. 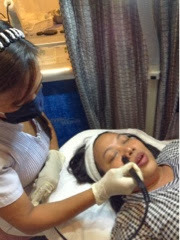 I have also tried the said treatment which helps minimize dark circles under eyes, spots and puffiness. It visibly reduces the appearance of dark circles while the massage provided by vibration tool combat puffiness by stimulating natural drainage, leading to decongestion. 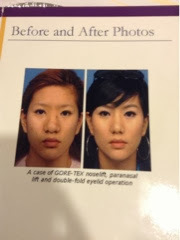 My chin and eyes felt tighter and became smoother to touch after a single treatment. With regular treatment, I am sure it will even improve more. 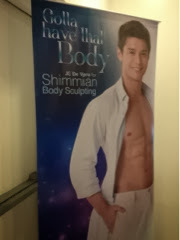 Shimmian Manila also offers High-tech anti-agers, known as Stem Cell Treatments. We've all heard of stem cells used in medical research for the treatment of certain diseases (these unspecialized cells are capable of regenerating themselves through cell division), Shimmian Manila offers the latest in luxury anti-aging. 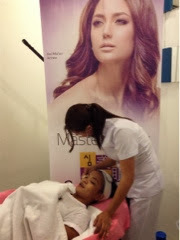 Shimmian Manila stem cell treatments support cell renewal and delaying the onset of wrinkles. Human stem cell therapy has proven high success rate for the treatment of a wide range of diseases. It is the most comprehensive and holistic approach to health maintenance and anti-aging presently available. It is world proven to be safe and effective in slowing the aging process and helping regain youth through skin improvement in tones and complexion, reduction in wrinkles, stabilization of mental power and increase in vitality, energy levels and physical power. It makes someone appear young and vibrant. 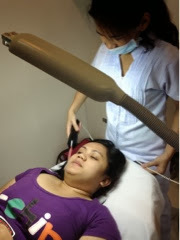 Actress Alma Moreno had her stem cell treatments done at Shimmian Manila. She used to complain a lot with her having multiple sclerosis but after she underwent stem cell treatment, her condition had greatly improved. She had never felt so young, vibrant and most importantly, gone are the days of her painful backaches. She's back doing her first love-dancing! Alma Moreno will always be grateful to Shimmian Manila's stem cell treatment for giving her another chance to enjoy life sans her mutiple sclerosis that made her suffer for years. But Shimmian Manila was first and foremost known as the very first in the country that brought the Goretex Noselift treatment. It is a safe silicon-free approach that provides a natural look. It is judged as the best implant material by many nasal surgery masters for its easy-to-mold, flexible, soft and non-biodegradable characteristics. 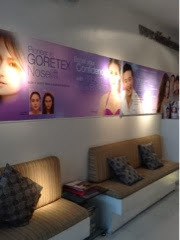 Shimmian Manila takes pride in over its 15 years of expertise in crafting nasal profile for Asians. 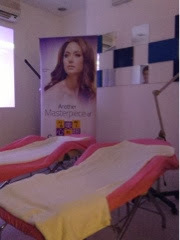 They are also the pioneer in advanced rhinoplasty procedure in the Philippines. Equipped with aesthetic surgical foresight and technology at par with world-class standards, each patient is assured of safe, worry-free and well-crafted beauty as if they were born with it. 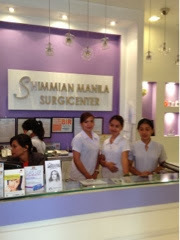 Other services offered by Shimmian Manila includes surgical services (i.e. eyebag removal, facelift, breast lift, liposuction, cheek augmentation, tummy tuck, APTOS Thread); dermatological services: brightening facial with power peel, acne treatment, Diamond glycolic peel, skin whitening, injectable gluthathione treatment, painless wart and mole removal, melasma and syringoma removal ; non-surgical enhancements: laser photorejuvenation, derma fillers, mesolift, body contouring, cellulite treatment, Cavitalipomelt body sculpting, RF face lift and RF Body contouring, comprehensive whitening and body slimming, anti-aging program and stem cell therapy. They have a newly opened branch at SM Southmall and will soon open another branch in SM North Edsa. 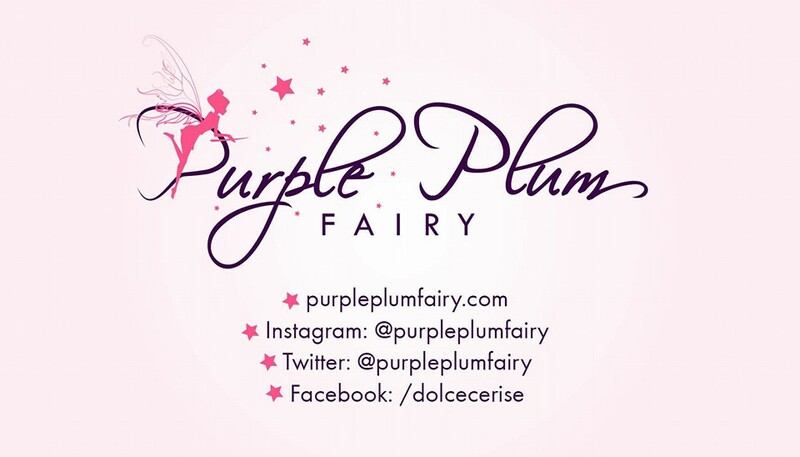 Purple Plum Fairy thanks Shimmian Manila, Ms. Minie Estrella, Shimmian Manila's Marketing Manager, and Ms. Xchosa Tanagas.